I'm finding the urge to bake fabulously tasty meals and treats from scratch, that started after Tricky was born, is still going strong. Sadly though, there is no correlation between compulsion and talent and I'm so far sticking to the simpler recipes. 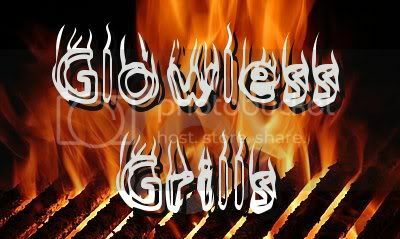 But making an awesome header makes up for my lack of cooking skills. It was my turn to bring something savory for mothers' group so rather than buy something I decided to unleash my inner 1950's housewife and get cookin! 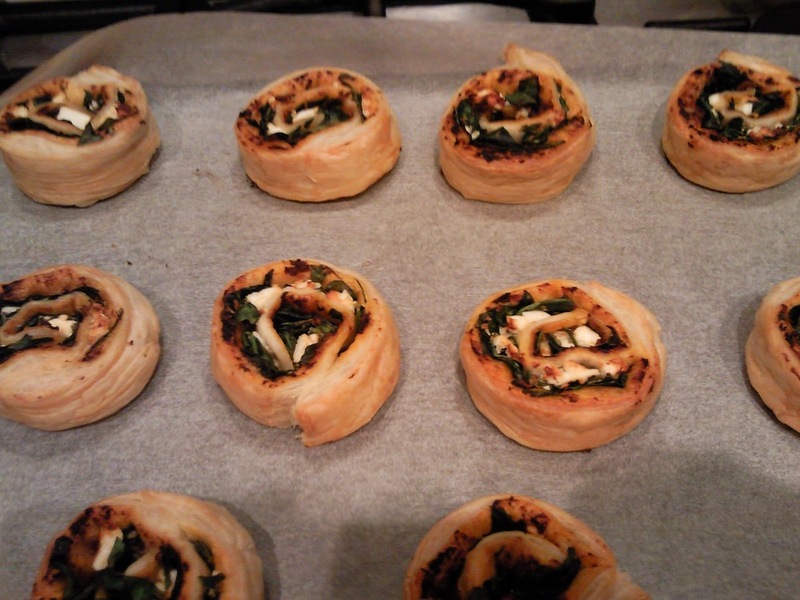 I'm going through a bit of a Puff Pastry phase and wanted to make something scroll-like. 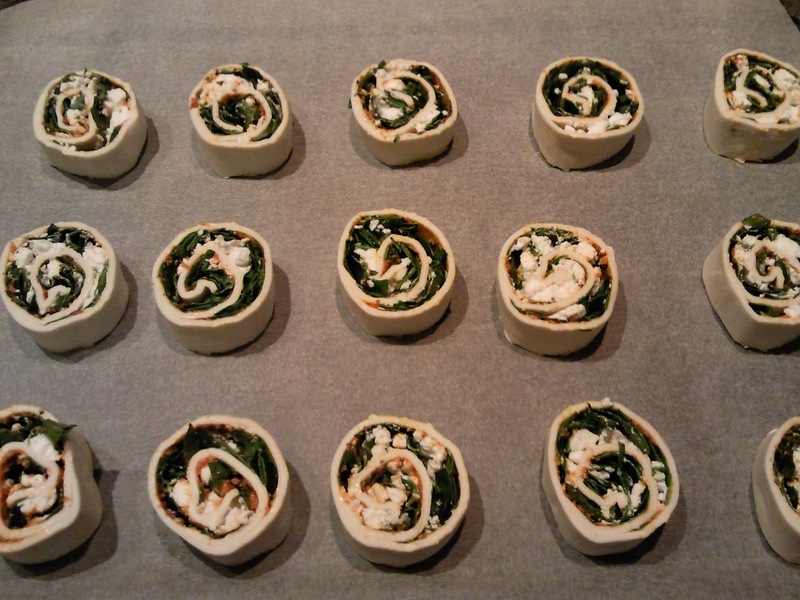 As a kid, before I knew how easy they were to make, scrolly schnackens fascinated me. I had no idea how they got them to be so uniform and I imagined someone painstakingly rolling each single one. 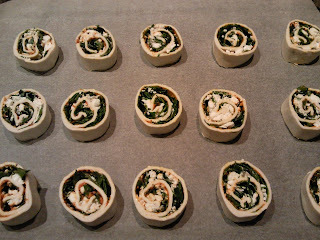 After figuring that the chances of giving the girls salmonella poisoning would dramatically increase if I made anything meaty, and with some encouragement from The Veggie Mama, I decided to make sun-dried tomato, spinach and fetta savory scrolls! 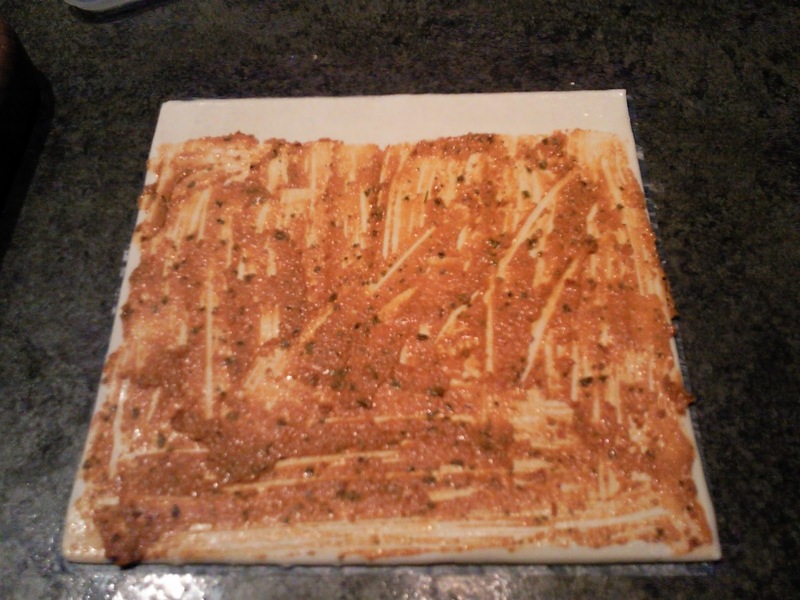 Step 1: Schmear (as opposed to smear) sun-dried tomato pesto all over a sheet of Puff Pastry, leaving a little gap at the top. 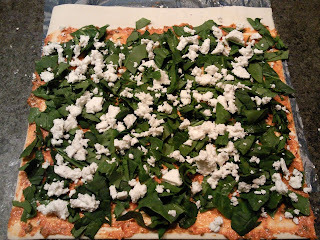 Step 2: Add lots of chopped up spinach. 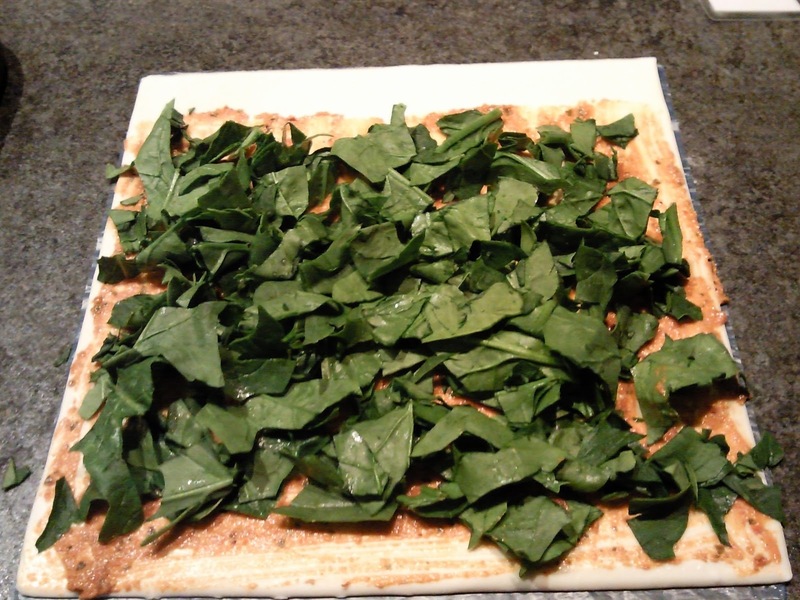 If you like babies, you might like baby spinach. Step 4: Put a smidge (official measurement) of water on the free edge of pastry, roll it up and moosh together the join to stop it springing open. 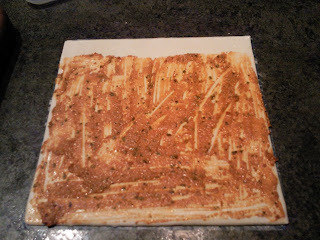 Step 5: Cut into pieces and arrange on a baking tray. Cook for 15-20 minutes at 175 °C or until brown. Step 6: Nom nom nom! The fact that they all got eaten and no one has since filed a lawsuit means they must have been OK! I didn't mention the nutella ones so that you wouldn't drool on your keyboard... oh wait... oops! I'm off to tweet now. That looks fantastic. I love puff pastry. 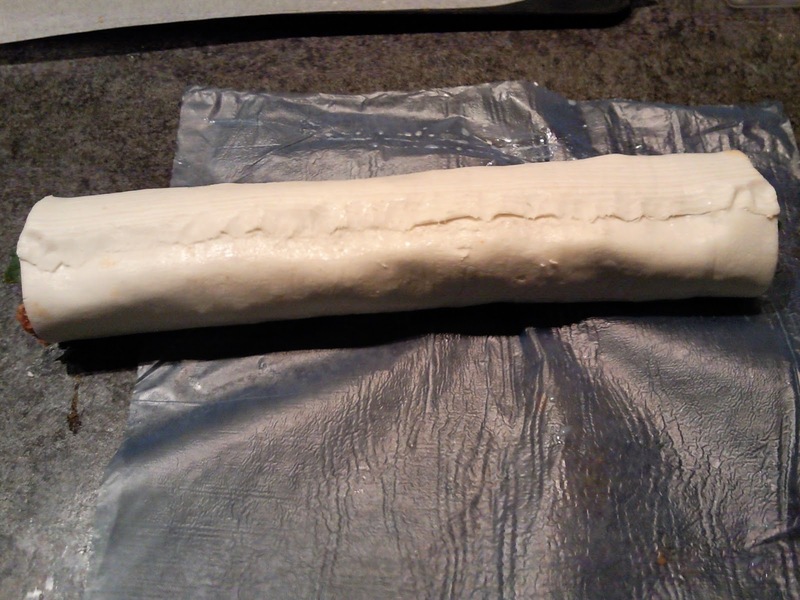 I can't make real pastry. I am too scared to tell people in case it means I am not allowed to live in the country anymore...The standards are high here in the baking stakes. Glad it was a hit at mothers group. They were amazing hun! damm my first day of dieting!! Fear not, Farmer's Wife, I have it on good authority that the CWA now use pumpkin soup instead of real pumpkin in their scones - I'm pretty sure that in comparison, puff pastry is the lesser evil, cos seriously, how hard is to mash some pumpkin? Proof - one of the mothers is at least still alive enough to go on the interwebz! They're not that bad for you, but if you eat 17 like I did, then yeah, maybe. They look so yummy! Thanks for the recipe and handy instructions. I may just attempt this myself this week! Gotta love Veggie Mama -she is a whiz! Absolutely, Gill! You should only ever make things that look waaay more difficult than they are so that you get all the "Oh my! Aren't you clever" and "You've gone to so much trouble" compliments, at which point you can feign embarrassment and say "Oh it was nothing!" They look so yummy! Thanks for joining us at Boost My Blog Friday! We are naturally following you back. And don't forget to stop by today because we continue with our Show Yo' Flow Campaign, and you don't want to miss the interview we have on Stefanie and the amazing surprises she has for our readers:) See you there! Happy Monday! They were such a success I've just made SEVEN more rolls of scrolls for Map Guy to take for his work morning tea.... Try saying that three times fast "Rolls of Scrolls, Rolls of Scrolls, Rolls of Scrolls" I'm dizzy now. 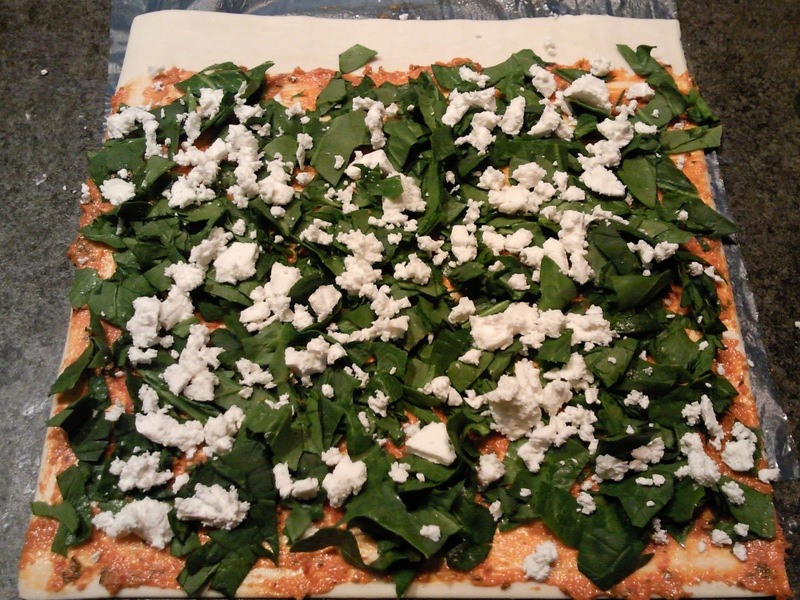 "If you like babies, you might like baby spinach." That's comedienne-quality material right there. Food looks yummy. Aaah a visitor from Argentum's pad, welcome! Babies are just so much cuter and therefore more edible... I'm talking about baby vegetables of course. Yumbalina!! I'll be making this on the weekend!! !